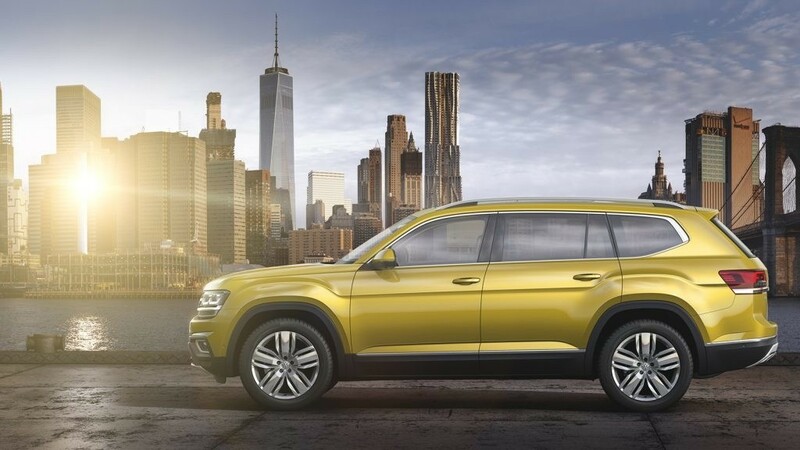 The seven-seater Volkswagen Atlas is now available, and it’s really aiming to capture the American SUV market in a big way. Volkswagen has for so long stayed out of the larger SUV class, but they’ve decided to venture into new territory. This is the largest SUV the company has offered (larger inside than even the Chevy Tahoe), yet it still manages to offer a price point that will be very attractive to a budget-conscious family. The Atlas has comfort down to a science, ensuring that both front seats can be customized to fit the rider’s favorite position. Those in the second row won’t have to fight with those in the first for legroom, and passengers can often fully recline without feeling like they’re crowding anyone. With three different climate zones, there won’t be anymore fighting about being too hot or too cold either. Also featured are extra USB charging stations, rear sunshades and third row seating that has been hailed as more comfortable than others in its class. No one wants to read over complicated manuals when they first buy their SUV, so the Atlas has made all of the controls on the dashboard easy to understand and use. Set the volume, change up your stations, and get alerts without having to experiment while you’re driving with the buttons and levers. The Atlas also relies on simplicity, which means that you won’t feel overly crowded with functionality up front. The technology in the Atlas is streamlined, so you’re not constantly faced with hundreds of options when you just want to find out how many miles you have left to go in your tank. You can buy the Atlas with either a 2L, 4-cylinder engine or a 3.6L V6 engine. The upgraded version gets up to 276 horsepower, and 266 pounds per feet of torque. (If you want all-wheel drive, then you need to opt for the V6.) The automatic transmission features 8 speeds, and has a Sports mode that makes it easy to adjust the power when downshifting. When it comes to safety, the Atlas delivers there too. You get standard rear-facing camera and auto-braking features in the event of a collision. Available features include a 360° camera for better visibility, and you can also opt into forward collision warnings and automatic braking, rear-cross traffic alerts, and blind spot monitoring.